Announcement Receive 10% off purchase of $100 or more (calculated prior to shipping)! Custom items do not apply towards volume discount. Eligible customers may use coupon code: QUEENBEE during checkout. Welcome to my shop! Have a question? Please see my FAQ's under my shop policies for the quickest information. :) Orders over $100, receive 10% off! Please see shop schedule below. I make all items prior to listing them to expedite shipping process. All items in my shop are to be shipped as per the listing. For domestic orders, most items ship first class mail (2 to 5 day delivery). Customers may upgrade shipping to priority mail (1 to 3 day delivery). These timeframes are shipping transit time, and do not include order processing time. PLEASE DO NOT CONTACT ME THROUGH GMAIL. That email account gets inundated with automated messages and I will only see your message through Etsy! I do not accept shop trades, barter on prices, or able to hold items. Thank you for your understanding! All items are ready to ship and ship within three to five business days (business days are Monday - Friday). Most items ship via USPS First Class mail, which is estimated 2 to 5 day delivery for domestic mail. We strive to provide fast shipment, but unable to accommodate rush orders at this time. Thank you for your understanding! Please review my policies prior to ordering. I believe in enjoying the oohs and ahhs of life. Like fresh flowers, chocolate truffles, and pedicures. All bring enjoyment to the senses and add a little happiness to the heart! 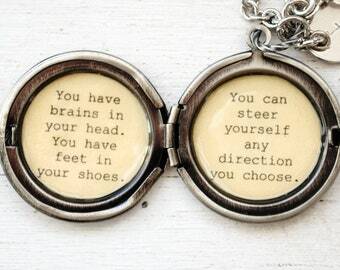 The items I create are designed with that thought in mind. I aim to use unique jewelry components, that are all pleasing to the eye and make the recipient giddy with delight. Each item is designed and handmade by me, with beauty and quality in mind. I'm inspired by all things vintage and nature and desire to create delightful accessories to be enjoyed for years to come. Please review our store policies before placing an order. If you have any questions, please feel free to email me. All products are made in a smoke free studio. Currently the items listed are ready to ship and generally ship within 3 days of purchase. Receive 10% off purchase of $100 or more (calculated prior to shipping)! Custom items do not apply towards volume discount. Eligible customers may use coupon code: QUEENBEE during checkout. This week I am gettimg ready to be a vendor at Windmill Garden's Girls Night Out! I made these lovely hair pins for the night! No two are the same! 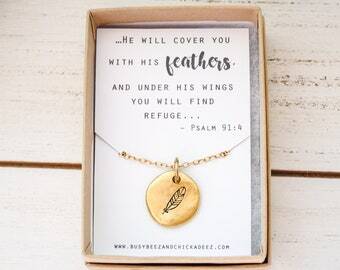 This necklace has become one of my favorites! I love pieces that you can wear with just about anything! New collection on sculpted relief jewelry! My whole life I have had a passion for creating and entrepreneurship. In high school ceramics class, we were assigned to create a piggy bank, and mine was a brick and mortar shop for my savings to one day open a business. At that time, this was pre-internet days (I'm aging myself! ), I had no idea I would one day have a virtual shop! My parents required I get my degree in business first and then pursue my creative side. I got my degree in Human Resource Management from Western Washington University (Go Vikings!). My favorite classes were the entrepreneurship series where the first quarter we created a business plan, the second quarter we consulted with a real small business. My work was not "homework", I absolutely loved every aspect of those classes. I worked in Human Resources for 8 years and then had my first child. She was a miracle baby, as I was told my odds of having kids were 5%. Knowing the incredible gift I was given in her, I wanted to stay home with her and quit my career. She was born with a hemangioma on her forehead. Strangers were not kind, and I did not want her to be affected by their words. We affectionately called it her angel kiss, and that is what I wanted her to know it as. So I started creating cute hats and headbands for her. When we were out and about I had people stop and ask me where I got her hats and headbands and that is when my husband suggested I start selling them. I took my birthday savings, purchased supplies and started Busy Beez and Chickadeez. At that time it was all children's accessories and I sold them by consignment in local shops in Spokane, WA. 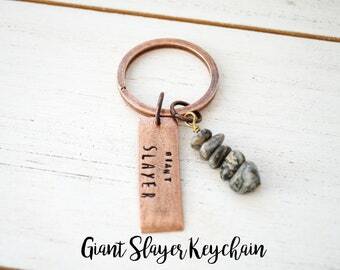 I later discovered Etsy and gave it a try, and it has been a perfect avenue for me! When my second daughter was born, I quickly discovered I no longer had time to sew. I literally had a dream about a quote locket (it was my "worth far more than rubies" locket). 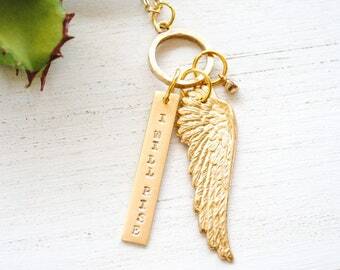 The next morning I searched the internet to see if anyone else was making a piece similar to that, and at that time, no one else was making quote lockets. 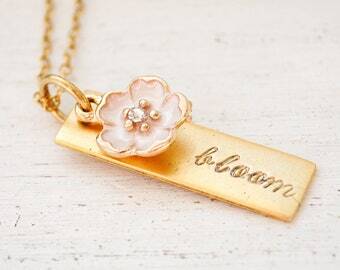 I quickly went to work and took my love of a good quote and placed it in a locket, and my jewelry line was launched! I absolutely LOVE making jewelry!!! It is a creative process where there are always new techniques to learn and try. 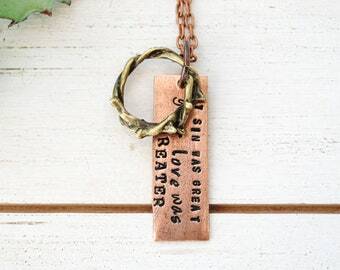 Each piece I make is inspired by a story, either mine, or a family or friend that I love. The greatest joy I have is hearing from my customers, as to what the piece means to them. Sometimes it is to celebrate, sometimes comfort to mourn....With each piece I make, it is my hope that it brings a smile, and becomes a piece when seen each time, it brings a bit of joy and reminder of a special memory. I am still one person running all aspects of my shop. It is a lot of long hours! I am up at 5:00 am to work before I have to start my routine with my kiddos, and squeeze in all the work I can within a day and often work late nights. But it has been worth it! This has been my favorite job to date, and I am so blessed to be able to see my girls off to school, and pick them up after school. I have been so grateful for the Etsy community! It truly allows me to do what I love! Welcome to Busy Beez and Chickadeez! We strive to provide whimsical and high quality items that provide a smile. Each item is handcrafted by me. Many items have an hour of physical work put into each individual piece. Because of the tedious handcrafted process of each item, variances will occur and each item is one of a kind. I do try to recreate each item just as close as possible to the original listing picture. I believe that slight variations are something to celebrate and enjoy to the uniqueness of each piece and hope my customers feel the same. Below is a list of our store policies. If you have any questions, please feel free to contact me. Please keep in mind that I am a one woman, very small business. I am not able to provide policies similar to big box stores, but strive to provide fair policies for the customer as well as my shop. Please do not ask other shops to recreate my original designs. That is violation of Federal copyright laws. Copyright © Busy Beez and Chickadeez 2009. All rights reserved. Designs, photos, descriptions and written text are protected by law. I am committed to providing you with great customer service and making a return as easy as possible. If you are not satisfied with your purchase you may return any unused merchandise (except custom and sale items) for a refund of the purchase price of your item (shipping and handling, gift wrap fee are excluded from reimbursement). I must be notified within 7 days of receipt of product to initiate a refund or exchange. The product must be returned within 14 days of receipt, shipped ONLY through USPS (my return address is a PO Box and UPS will not deliver to PO Boxes) track and confirm purchased, and a tracking number provided to me. ***NOTE: Merchandise returned must be in its original condition and packaging (e.g. gift box). Merchandise returned must be shipped in the same method as receipt shipment to avoid damage. For example, if your order was mailed in a box, it should be returned in a box, not an envelope. Return shipping cost is the buyer's responsibility and it is recommended that you return item with insurance or tracking number. Busy Beez and Chickadeez is not responsible for lost or damaged items. A refund is subject to the merchandise being reviewed for customer damage or alteration. Merchandise that is damaged or altered in any way cannot be returned, including damage occurring during return shipping. If damage occurs in the shipping process, it is the buyer's responsibility to work with shipping carrier on resolution based on the agreement between buyer and shipping carrier. Please treat your pieces with care. Although every care is taken to ensure the strongest materials in each piece, they may not withstand jarring treatment, including exercising wearing the item. Customer neglect or accidental breakage by the customer is not covered by the return policy. I use the thickest gauge of jump rings, strongest jeweler's grade glue, etc. available. This makes a sturdy piece and the metal jump rings do not open under normal wear conditions. I wear my own jewelry and know the amount of force it takes to break a piece (i.e. open a metal jump ring, break a locket). The amount of force that it takes to break an item, is considered excessive and falls under CUSTOMER ACCIDENTAL BREAKAGE. Jump rings can open if they are tugged on or get caught on something. That is NOT considered normal wear and tear, but considered CUSTOMER ACCIDENTAL BREAKAGE and not covered under my breakage policy. I do not replace items under those conditions, but willing to work with a customer on repairing those items. The expense for repairs is the customer’s responsibility. Any items damaged, tarnished or discolored from water, salt water, sweat and/or chemicals (i.e. hairspray, perfume, sunscreen) are not covered by the return policy. For hygiene purposes, earrings and hair accessories are not returnable. All sale/clearance items are also not returnable. For clothing items, I am unable to return items that have been worn (deodorant marks, or other visible marks) or washed. ***PLEASE NOTE: We are unable to refund or exchange custom made items and orders for multiple of the same items, since those items are made specially for you. However, if you would like to return item due to a craftsmanship error, I will be happy to work with you to either make the adjustment or replace the item. EUROPEAN UNION RETURNS: The following is ONLY for European Union (EU) Buyers, in order to be in compliant with EU Directive on Consumer Rights. The directive creates a hardship for small businesses, and I am only able to provide this type of policy for EU Buyers, because I am obligated by law. If I find that it is too costly to my business, I will very likely have to stop selling to EU Buyers. The following described days, are calendar days, and not business days. EU Buyers have the right to return an item within 14 days of receipt. Returns are still not allowed for custom items or earrings (because of hygiene purposes). EU Buyer must notify me within 14 days of receipt of intent to return. Buyer must return the goods to Busy Beez and Chickadeez by sending the item back within 14 days from the day after the buyer notified Busy Beez and Chickadeez of withdrawal from the contract. Buyer must complete provided Withdrawal Form. Failure to pick up item from post office and refusal to pay import fees, does not constitute as notice of intent to return, and therefore not subject to the return policy. Items must be returned in original condition in order to receive refund. Busy Beez and Chickadeez is obliged to refund original product and shipping charges. The Buyer is fully responsible for return shipping charges. CANCELLATIONS: Orders cancelled before item is shipped may receive a refund MINUS nonrefundable fees that are charged by PayPal and Etsy. 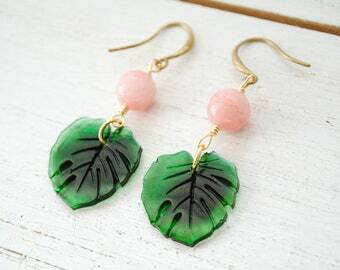 Payment is processed through Etsy's Direct Checkout System via major credit card or PayPal. Sales tax for Washington State and Pennsylvania residents will automatically be calculated. Please note custom designs will be started AFTER payment is RECEIVED. By purchasing a Custom/Reserved Listing, you are agreeing to the design described in the listing. Once a Custom/Reserved Listing is purchased, changes cannot be made to the design nor are we able to refund or exchange custom made items and orders for multiple of the same items, since those items are made specially for you. TIME FRAMES: Please note, I ship once payment is received. Currently I ship items within three to five business days. (Business days are Monday - Friday). Custom made items will not be started until payment is received. Please account for this additional processing time. PLEASE NOTE!!! I am no longer able to accommodate rush shipment requests. I am one person and strive to provide excellent customer service to all my customers. With my volume of sales, customer inquiries, physically making every item and packing every item etc., I need to manage my time as efficiently as possible to ensure ALL orders are quickly shipped and by accepting rush shipment requests, I am unable to make the most of my time. Thank you for your understanding. HOW WE SHIP: I ship via USPS priority mail (1 - 3 day shipping) or first class service (2 - 5 day shipping). Please note, all shipping transit time frames are estimated dates given by USPS, and I cannot guarantee delivery by a specific date, since I cannot control physical delivery of item. On rare occasions, items are delivered outside the time frames provided, which I cannot be responsible for. Track and Confirm service is automatically added to each shipment for shipments within the United States and select International countries. If track and confirm shows successful delivery of item, I am not responsible for items that are lost after delivery, as that is theft of customer's property. Insurance may be purchased. Insurance ONLY covers items lost or damaged in transit. Insurance does not cover items lost after successful delivery. If you would like to insure your items, I will be happy to add insurance to your shipment. Please send me a message that you would like insurance, and I will set up a listing to cover the cost of the insurance coverage. Delivery non-receipt for domestic shipments must be reported within 60 days of the ship date to postal carrier or insurance carrier (UPIC). Any claims past that date, are unable to be resolved with carriers and insurance companies and is not the responsibility of Busy Beez and Chickadeez. The most secure method of shipment is signature confirmation. If you would like to purchase signature confirmation delivery, please send me a message, and I will set up a listing for you to purchase the additional service. It is highly recommended to purchase signature confirmation for orders that are $50 and above. Signature confirmation will automatically be added for orders valued $250 and above. I am no longer able to mail items Priority Express. The fastest option in my shop, is Priority Mail, which is 1 to 3 day delivery. I do not accommodate local deliveries. All items are shipped. For international orders, orders to select countries are tracked. Shipping and handling fees ONLY include postage, cost of materials to ship, and Etsy's 5% fee. Any fees, taxes, charges, etc. charged by recipient's country is the sole responsibility of the buyer. Orders are shipped via USPS (United States Postal Service). Once package enters recipient's country, it is then delivered by local mail service. It is customer's responsibility to be aware of their postal service processes and charges for delivery and import. Since U.S. mail service is a separate system, I am unable to obtain information for customers regarding their package once the package enters a different country and any inquiries on delivery, need to be made by customer to their country's mail service. Generally orders arrive within 14 business days (M-F, excluding holidays and weekends), which does not account for custom processing time. On rare occasions (in particular United Kingdom, Canada and Greece) orders have taken up to 45 days to receive. Please take the longest shipping time frame into account when ordering. Customers may upgrade to USPS Express shipping or registered mail, in order to track packages. Please send a convo for price estimate. Orders valued over $200 will be mailed registered mail and require a signature for delivery. Delivery non-receipt for international shipments must be reported to postal carrier or insurance carrier (UPIC) within 90 days of the ship date. Any claims past that date, are unable to be resolved with carriers and insurance companies and is not the responsibility of Busy Beez and Chickadeez. PLEASE NOTE!!! Any customs taxes or fees levied to the buyer upon receipt of the product will be the sole responsibility of the buyer. These fees vary greatly depending on the buying location and I am not able to estimate these with your international order. Your order will be marked as "merchandise" on the customs form. I am not able to adjust the customs label to state "gift" in order to avoid taxes; that practice is falsifying documents is illegal and could easily result in the loss of my business license. Please do not request this of me. Thank you for your understanding. Duty fees imposed by other countries are the responsibility of the buyer/recipient. In addition, if item is not picked up at the post office and is returned to me, I am not able to accommodate merchandise returns. SHIPPING ADDRESS: Items are shipped to the address provided at check out, for purchases made through Etsy's direct checkout process. Please verify your address before placing your order. 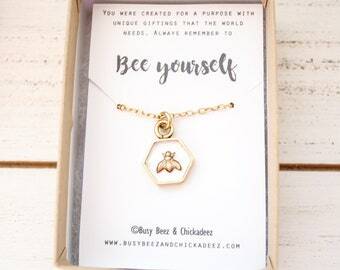 If item is returned to Busy Beez and Chickadeez due to incorrect address, an invoice with new shipping charges will be sent to reship the item. I am not able to accommodate merchandise refunds to customers who provided incorrect shipping address. IMPORTANT SAFETY WARNING: Children should always be supervised with our merchandise. Some items may contain small pieces (i.e. buttons) which could potentially be a choking hazard. We cannot be held responsible for any injuries related to our product. 1. Jewelry should not be worn in the shower or immersed in water. 2. Jewelry should not be worn while sleeping or excercising. 3. Jewelry may be spot cleaned with a cleaner appropriate to the metal of the piece, such as a brass cleaner for brass or a silver cleaner for silver plated pieces,. Jewelry should not be immersed in a jewelry cleaner. Storing jewelry in airtight sealable bags also will help to prevent tarnish. 4. Hairspray, lotions, sunscreens and perfumes will cause color changes to the finish on your jewelry. Please avoid contact with these cosmetics by applying before you wear your pieces and use minimal amounts of these where the body comes in contact with the piece. 5. It is important to familiarize yourself with the proper technique for opening and closing lockets. 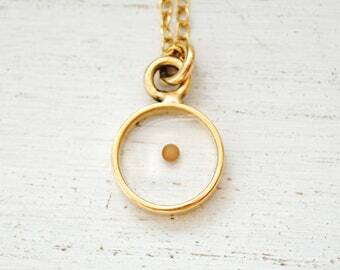 When opening and closing a locket, please be sure to align the clasp’s hook with the hole. If they are not aligned it will cause the metal hook to bend and your locket will no longer close. In addition if one puts too much pressure on either side of the locket, this can break the hinge. These actions are considered accidental breakage by a customer for purposes of returns/exchanges and not returnable. ***Please take special care and time to teach little ones how to care for their jewelry. 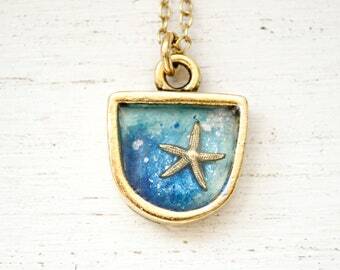 Step 1: Search through my current listings and find a locket, bead and charm combination that you would like, and add that locket to your cart. With being a high volume shop, I no longer have time to pull together different bead options for customers, but I am happy to replicate what I have listed. 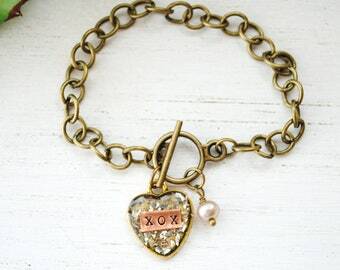 Step 3: When checking out, under note to seller, please list the exact message that you would like in your locket. Do not include any symbols such as "hearts", "smiley faces". Only text is accepted. 2. 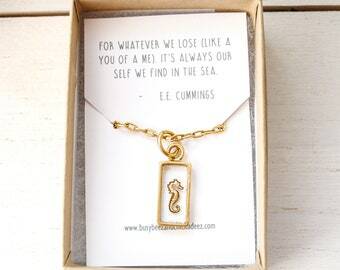 I LIKE A QUOTE IN ONE LOCKET, BUT LIKE A STYLE OF A DIFFERENT LOCKET. 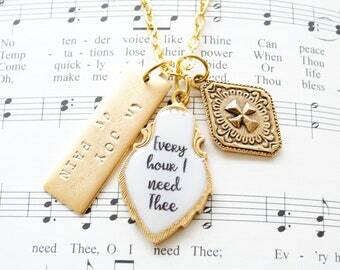 CAN YOU PLACE THE QUOTE IN THE LOCKET STYLE I LIKE? 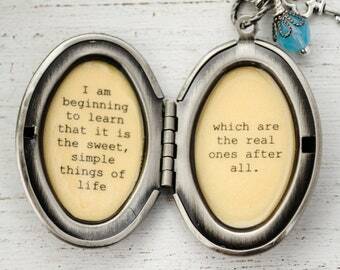 I select a certain locket size for a quote, because the text fits best in that particular locket. I know it sounds like a simple change, but it isn't on my end. 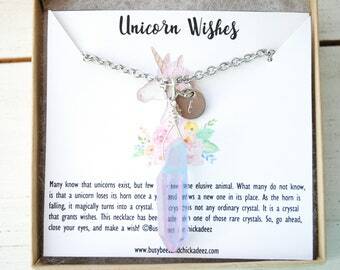 Each locket is a different size and shape, and for me swap out quotes, I need to start at square one of the design process, to customize a text for a particular locket and it is as if creating a brand new piece. If you would like a personalized piece, please following the directions above for ordering a custom piece. However, some locket styles are available in both antique brass and silver. 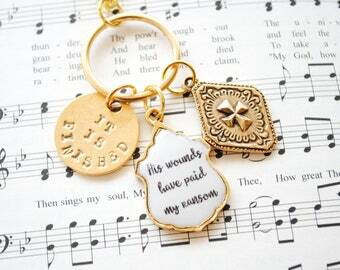 In those situations, depending on my work load (not during Graduation/Mother's Day or Christmas seasons), I can insert the quote in the different locket finish. Charms may not be included in the other finish, and may result in the charm being omitted. This is considered a custom item and non-returnable. Turn around time for that customization is 2 weeks to create. If I observe a request is too burdensome, I may not be able to fulfill a customer's request. 3. I WOULD LIKE A LONGER CHAIN, DO YOU ALLOW FOR THAT? Yes! My cost is accounted for in the listing price based on the standard chain length. I am happy to create a longer chain that is within 6 inches of the longest chain length listed without additional cost. For chains longer than 6", customers may purchase the following listing. Please leave a note under "Note to Seller" with the exact chain length, and I'll be happy to make that adjustment. 5. CAN I REQUEST AN ITEM WITHOUT BEADS? Yes! 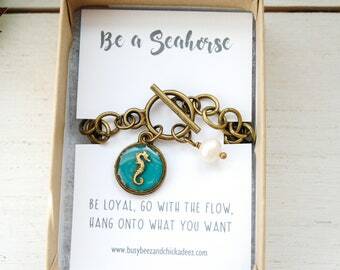 Please leave a note under "note to seller" when checking out that you would like beads and/or charms removed, and I'll be happy to make that customization. I do not adjust a price for this service, as I do need to take extra time on your piece to make that adjustment. Please keep in mind that the majority of the handcraftsmanship work and product price is within the locket itself. 6. DO YOU OFFER DISCOUNTS FOR PURCHASING MULTIPLE ITEMS? Yes, customers purchasing $100 or more (calculated prior to shipping) may receive a 10% discount. Custom items do not apply towards volume discount. Please use coupon code "QUEENBEE" when checking out. 7. WHERE IS MY PACKAGE? Each package will have a USPS tracking number associated with the shipment. Customers may go to their purchases section and a tracking number will be shown next to their order. If the item shows as delivered and the customer has still not received the item, unfortunately that would be most likely mail theft at the customer's residence. Purchasing delivery insurance, does not cover mail theft, as once an item is delivered to a customer, it is then the customer's responsibility. In addition, I cannot be financially responsible for mail theft on the customer's property. The good news is the majority of "lost" packages are found by asking other household residents! 8. DO YOU GIFT WRAP? Each item is packaged in a jewelry box, tied with a bow and gift tag. Customers may purchase "Gift Wrap" at check out. This is for personalized, handwritten (by me) cards. If a personalized message is not included with the order and gift wrap is purchased, a generic message will be included. Gift wrap option is non refundable. 9. I AM AN INTERNATIONAL CUSTOMER, AND RECEIVED A NOTICE I NEED TO PAY AN ADDITIONAL FEE TO RECEIVE MY ITEM?!! I completely sympathize and understand that it is extremely frustrating to be charged an unexpected expense. That fee is a tax that an individual's country charges for a citizen importing an item. I do my very best to try to provide information on the potential tax to customers by listing information in: my shop announcement, policies, on each listing I ask customers to review my policies for important information such as this, and in my automatic message that a customer receives when purchasing an item. In addition Etsy notifies customers of potential tax at the time of check out. Unfortunately, it is a tax that must be paid by the customer. If an item is returned to me, because the customer refused to pay the tax, I do not provide a refund, as stated in my policies. This is because it can take up to 6 months for me to have the product returned. As a small business owner, I cannot afford to have a product unavailable to be listed for that timeframe. 10. 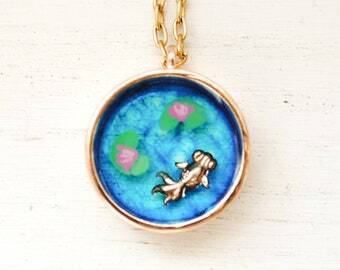 YOU'RE SOLD OUT OF AN ITEM, WILL YOU BE MAKING MORE (in particular the I'll love you forever mother locket)? : Most items I do try to regularly offer in my shop and have available. When an item sells out, it generally takes 2 to 3 weeks to create any given batch. (Just tea staining and sealing the quote, takes 5 to 7 days!). The I'll love you forever mother lockets are an item in high demand, that I am unable to keep up with, but am always working on a new batch! :) Please do not ask other shops to recreate my original designs. That is violation of Federal copyright laws. 11. CAN I HAVE A PIECE ENGRAVED? I do not have the tools to engrave an item. I have had customers take pieces to a local engraver once they receive the item. 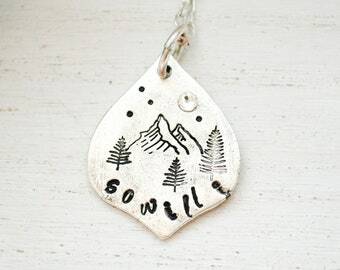 Many of the pieces you may see in my shop have been handstamped, which is a different process than engraving. Handstamping is hammering a metal stamp into a metal piece. Lockets will not withstand this process. 12. 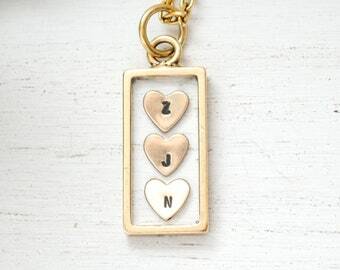 CAN I PLACE A PICTURE IN THE LOCKET? Yes, I have had many customers insert their own pictures. It is not a service that I provide. 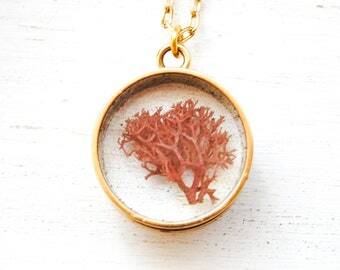 My aim is to have a customer purchase a piece that they love, and I found that it is best if a customer does that part, as once a customer sees the locket, than they can best determine picture, focal point of picture, quality of picture, etc. I recommend using photo stock paper for best results and I am happy to provide a template to customer to assist customers in cutting out pictures. 13. WHAT IS INCLUDED IN SHIPPING AND HANDLING CHARGES? 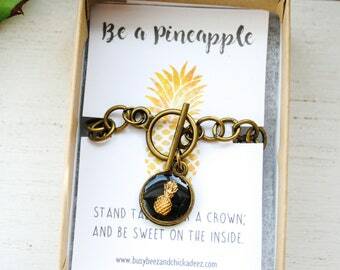 The shipping and handling charges include all cost in shipping out your order: , each item is sent in its own individual jewelry box and wrapping, postage, shipping material (including envelope or box, shipping label, invoice, ink). In addition, Etsy charges 5% fee of shipping cost.